The Los Angeles district of the U.S. Army Corps of Engineers recently estimated the removal of 600,000 cubic yards of material annually from Santa Barbara’s harbor’s entrance and main channel between Sept. 1 and Aug. 30, 2022 will not negatively impact its surroundings. Dredges through 2022 will not have a substantial negative effect on local environment. 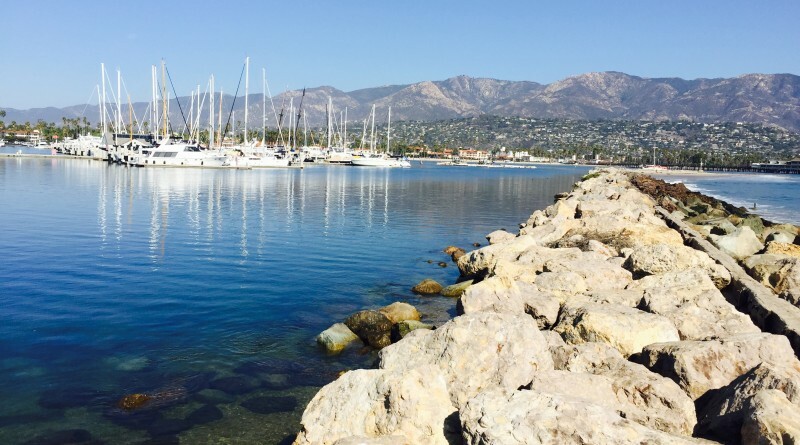 SANTA BARBARA — A Draft Environmental Assessment (EA) of a proposed dredging program at Santa Barbara Harbor found the maintenance project would not adversely affect the local environment. The Los Angeles district of the U.S. Army Corps of Engineers published the assessment in early August and estimated the federal agency would remove 600,000 cubic yards of material annually from the harbor’s entrance and main channel between Sept. 1 and Aug. 30, 2022. Dredging activities are scheduled to start on Sept. 1 each year and be completed by April 30 of the following calendar year, according to the EA. “The Corps has determined that the continued maintenance of the Santa Barbara Harbor is the type of activity that does not have the potential to cause effects to historic properties. The undertaking is routine maintenance that has occurred since at least 1972 and would not alter the current setting or integrity of any historic properties that may be located within the Santa Barbara Harbor,” Col. Kirk E. Gibbs said in his comments about the EA’s findings. Material collected during the six-year dredging project would be placed down coast of the harbor at East Beach. “In any year, the first dredging operation is expected to occur in the fall or early winter typically between October through January while the second dredging operation is expected to occur in the spring typically between February through April. Dredging would occur in the federal channel dredge area(s), approach channel, entrance channel, [turning areas], and the marina channel,” according to the EA. Each dredging operation would last six weeks, the EA continued, though weather conditions could extend the time period to 60 days. Some invasive species such as polychaete worms, molluscs, echinoderms and crustaceans would be found in the dredging area, according to the EA. California grunions also spawn in the area between March and mid-September. However the Corps of Engineers determined the dredging project would have little to no effect on the environment immediately surrounding Santa Barbara Harbor. “No significant long term or cumulative adverse effects on the terrestrial or aquatic ecosystems would occur as a result of the proposed project. The general marine environment would return to pre-project conditions upon completion of dredging,” stated the EA. The Corps of Engineers does not anticipate dredging the harbor entrance and main channel between May 1 and Aug. 31 of each year unless there is a shoaling incident during the four-month stretch. Dredging projects help minimize the accumulation of sand at harbor entrances and navigational channels, allowing maritime traffic to travel safely between slips and the ocean. Dredging also provides sand nourishment for local beaches and helps prevent shoaling. Santa Barbara Harbor began dredging its federal entrance and main channel in 1972, almost 45 years after the boating venue was built. “In 1927-28 local interests constructed, at their own expense, a 1,800-foot long, detached breakwater parallel to and about 600 feet … from the shore,” according to the EA. “The breakwater afforded protection from southwesterly waves for Stearns Wharf and a mooring area for small boats and yachts. “One effect of this structure, however, was to interrupt the natural flow of easterly directed wave energy along the coast, which caused deposition of sand in the lee of the breakwater,” continued the EA. The deposition of sand in the lee of the breakwater caused shoaling at the harbor’s west end in 1929, according to the EA. By 1930 the breakwater was extended, allowing harbor officials to impound eastward-flowing sediment to accumulate in a trapping area. “By 1933-34 this accumulated sand had advanced far enough seaward to migrate along the south face of the breakwater, and was deposited in the lee of the eastern end, which formed a sand spit that encroached on the channel,” the EA elaborated, adding the harbor suffered navigational hazards while sand erosion occurred at some local beaches. The breakwater and attached sand spit were extended at times since then, though it was not until 1972 when federal dredging became an annual activity at Santa Barbara Harbor. “The harbor entrance channel has continued to develop shoal areas that severely restrict and endanger navigation,” the EA stated of why annual dredging is necessary in Santa Barbara.